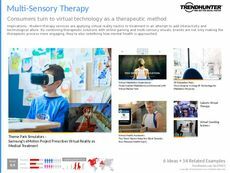 Find Better Ideas, Faster ® with a custom sensory technology trend report, our PRO Dashboard and 80+ categories of premium trend reports. 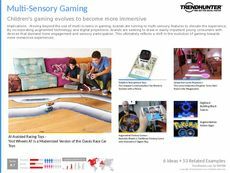 The Sensory Technology Trend Report looks at the use of sensory tech that is begin used in a variety of industries. 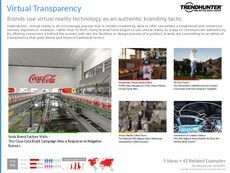 This report explores the new ways that brands and products are incorporating various senses using high-tech software and programming. 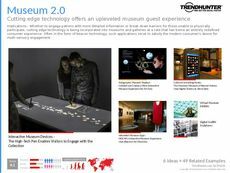 All of the trends within this report promote society's need for immersive exposure, experiences and creative interaction. We will also examine how artists are using sensory-based technology to create immersive installations. 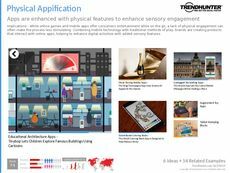 This report exposes new and emerging artists who choose to incorporate sensory tech into their installations, which provides brands and marketing teams with partnership opportunities. 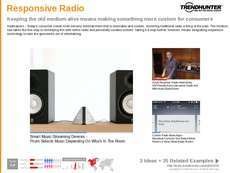 The report can also be used by tech developers who are continuously seeking new and immersive forms of software to work with and build upon. 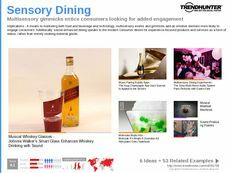 The ultimate goal for the Sensory Technology Trend Report is to encourage you to broaden your brand's reach and consumer interactions, which will ultimately solidify your consumer-brand loyalty.